When a toy company can cross the generations between children and adults, creating puzzles, board games, and science & art kits that can be enjoyed by an entire family, you know to expect great quality. When that same company offers award winning and best selling games, and has over 130 years of experience in doing this, you know you can trust them. And when that company values quality, enjoyment, education, laughter and affordability over everything else, you know you can depend on them. That’s exactly what Ravensburger offers. Founded in Ravensburg, Germany, this world-renowned toy company has been producing imaginative, explorative and engaging games and products since 1883. They continue to create both classic and innovative products that the entire family can enjoy. This little microscope is absolutely brilliant. There is even a little pouch, so that your child can take his Smartscope anywhere he goes. It also comes with a poster, offering great ideas for collecting specimens, tweezers, a Petri dish, a pipette and more scientific tools. 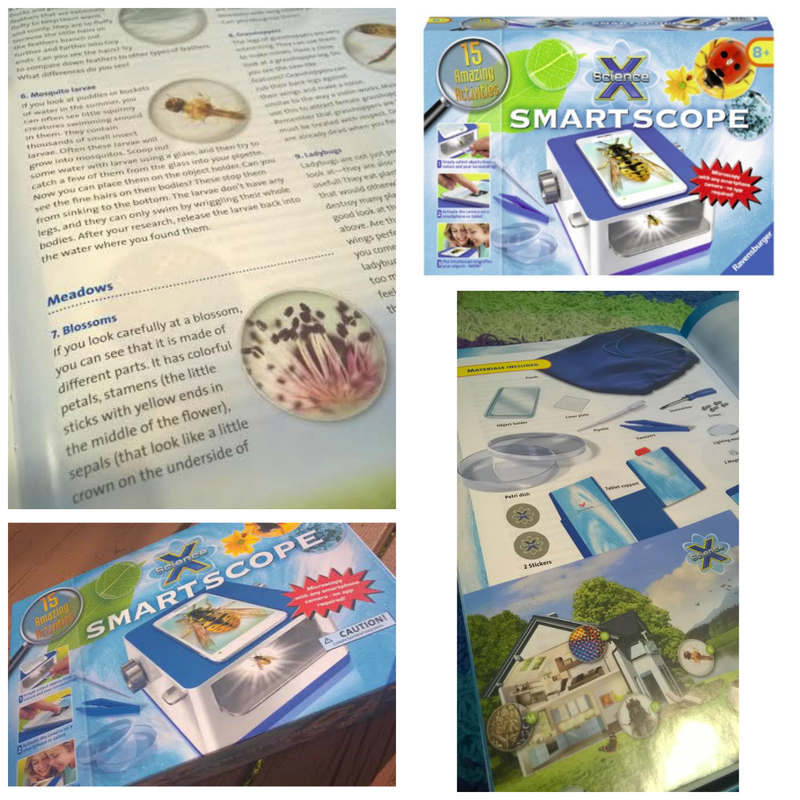 Your child will even put the Smartscope together, right out of the box. With 2 levels of magnification, a removable light source, and a sliding tray, he’ll feel smart and scientific right away. It’s a genius toy that will keep your kids occupied and entertained for hours – all while they learn! Check out The Binder Ladies’ full review of these awesome products HERE! 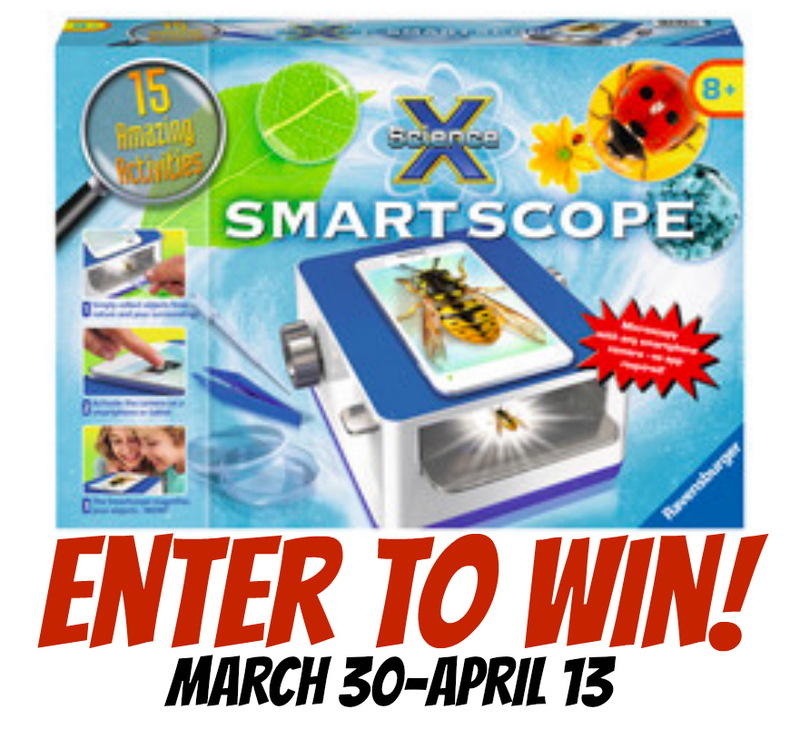 Enter to win a Ravensburger Smartscope! This set retails for $44.99. The participating bloggers are not responsible for prize shipment, nor were they compensated for this post. Winner will have 48 hours to respond to an email from [email protected], to claim their prize, before a new winner is selected. Consider adding this email to your contact list. This giveaway is in no way affiliated with any social media platform. Prize redemption will be verified.